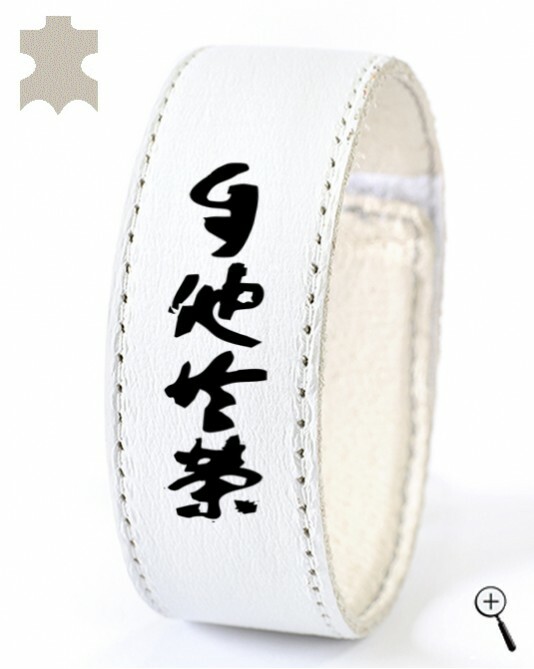 The white magnetic bracelet with inscription on Kanji "co-prosperity for ourselves and for others" (the second philosophical principle of judo, formulated by Kano Jigoro is made of white leather. The lining of the magnetic bracelet absorbs sweat and stay cool skin. Contacting the body surface of the magnetic bracelet cam be cleaned of accumulated salt from sweat and other dirt with warm water and wipe with a soft cloth.